Welcome to Motorparks, your one-stop shop for locating award-winning new SEAT Alhambra cars at astonishing prices you will find hard to believe. What is there not to love about the SEAT Alhambra? The car features an extremely spacious interior, hides sporty engines under its bonnet to make every road trip an exhilarating experience and is very easy to access thanks to the inclusion of automatic sliding doors. 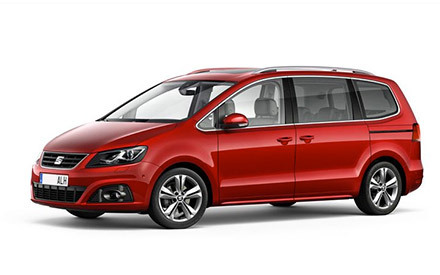 Mind you, we are not the only ones to praise the new SEAT Alhambra so highly – the car was named Best MPV at the What Car? Car of the Year ceremonies of 2011, 2012 and 2013. See what all the fuss is about by enquiring about any of the new SEAT Alhambra cars you see below online now. Have you also taken the opportunity to peruse our equally amazing selection of used SEAT Alhambra cars, where you can find some incredible deals?